With just over 18 months until the IMO’s 0.5% sulphur cap regulations come into force, major container lines are undecided on their future fuel strategy. Come 1 January 2020, ships not powered by LNG must either use more-expensive low-sulphur fuel oil (LSFO), or be fitted with an exhaust gas cleaning system (known as scrubbers) in order to continue burning heavy fuel oil (HFO). Carriers know that decisions reached in the next few months will shape their financial future – for example, Hapag-Lloyd’s bunker consumption last year was nearly 4m tonnes, of which 87% was HFO. South Korean carrier Hyundai Merchant Marine (HMM) said recently it would consider installing scrubbers on its 20 new mega-containerships or powering them by LNG, as it seeks to gain a competitive advantage over its liner rivals. One carrier source told The Loadstar his company had already had several meetings with shipowners (carriers on average charter-in 50% or more of their tonnage) without reaching a conclusion. So far, only around 250 ships of the world’s 60,000 merchant vessels have been fitted with scrubbers and the slow take-up has surprised observers, given the prima facie cost advantage of the “sensible option” to the new regulations. The current price to retrofit a containership with a scrubber system is $5-10m, but with the cost for LSFO currently at a premium of approximately $230 per tonne, for a large containership the capital expense could be recovered in less than a year. However, a new report by online bunker broker BunkerEx flags up a number of potential difficulties for ships that continue to burn HFO after 2020, and gives reasons why a “wait and see” policy might be the better option. 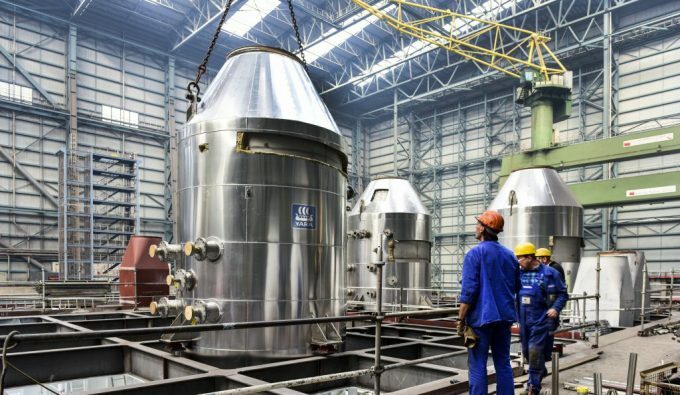 The main concern seems to be the risk that, having invested in a scrubber system, the availability of HFO will decrease significantly from January 2020 as it becomes uneconomic for refiners to produce. Moreover, under fresh IMO regulations in the planning stages, it could even be a violation for bunker suppliers to transport HFO by sea. This could mean that, in some circumstances, a ship operator would effectively be paying twice to be compliant: the cost of the scrubber system as well as the expense of bunkering with LSFO. BunkerEx also notes that a number of refiners are investing heavily in producing a blend of LSFO that could be sold at a discount to the current marine gas oil alternative to HFO. It follows that, if HFO becomes more expensive as its refining costs increase and a LSFO discounted option is made available, the scrubber solution may well disappear altogether.